A new type of game is becoming increasingly popular on mobile—and it’s one that asks very little of its players. 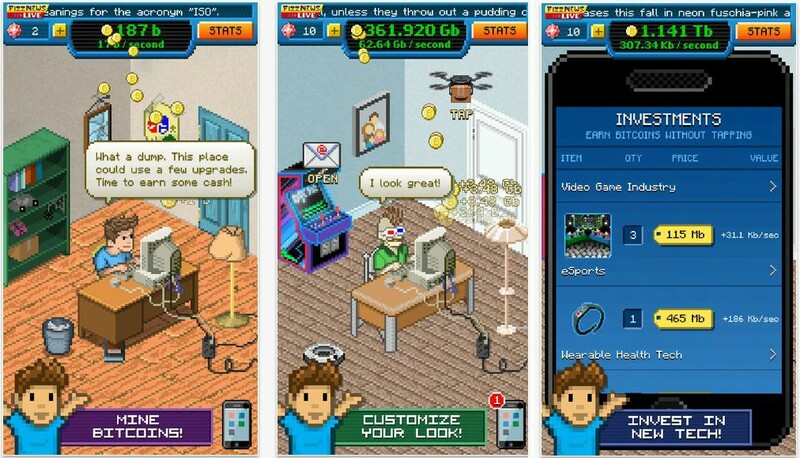 Idle games, also known as clicker or incremental games, essentially strip back active gameplay to a succession of taps. Think: Flappy Bird. These games reward players for doing nothing. Still, the understated approach to game mechanics in popular mobile titles like Tap Titans and Bitcoin Billionaire results in great user retention and provides a perfect platform to leverage rewarded ads. Adventure Capitalist—recently featured in both the Apple App Store and on Google Play—is one of TK-based studio Kongregate’s first forays into mobile development. Speaking at this year’s Game Developers Conference in San Francisco, the game’s producer Anthony Pecorella explained how and why idle games were becoming increasingly important to the company. “People play them a lot and keep playing them,” he said, revealing that three of Kongregate’s five most popular games were in this relatively new genre, and that their ARPUs are well above most of Kongregate’s other single-player games. Much of the success of idle games comes down to their simplicity, says free-to-play analyst and consultant Dimitar Draganov. This falls in-line with one of his leading game design principles: asking not what you can add to a game, but what you can remove without breaking it. “By capitalizing on one of the shortest of core loops in gaming, [these games] are extremely transparent and essentially gift-wrapping to even the most casual players the satisfaction of knowing what is happening, how advancement is defined and what it takes to keep progressing,” says Draganov. As such, rewarded advertising in idle games—which might give the player in-game currency, a boost in income or maybe help remove a negative status—pairs well with idle games because it, too, is simple. “[Ads in idle games] are brilliantly built around the same simplicity principle: watch an ad to keep being successful or, even better, watch an ad to avert the loss of success,” says Draganov. Adventure Capitalist integrates rewarded advertising by allowing players to watch up to five rewarded ads a day, providing a double-income boost for four hours. Pecorella said that, around launch, players were even reporting bugs with the rewarded ads—indicating that the ads were possibly just as addictive as the game itself. “There’s no better to way to know that we did the ads well than to have people say, ‘Hey! We can’t watch your ads. Fix it,'” he said. Limiting the ads to just five a day was intentional and the strategic inclusion of these ads has worked. Players are now “actively making sure they can get in and watch as many of those ads as possible to hit their daily quota,” Pecorella said. Idle games aren’t just about sitting back. There’s a significant element of interaction in the gameplay: players happily tap and upgrade, watching themselves progress at an exponential rate. Which, again, bodes well for integrated ads. Draganov says that this “tap-frenzy” gameplay is based on the psychologist Csikszentmihalyi’s theory of flow, where people become completely immersed in an activity (or find themselves “in the zone”). And therein lies the big secret behind the popularity of idle games. They do a great job of making players feel like they’re winning—with all the positive responses that success elicits (including continuous ad interaction).